Leaked news is confirmed! Apple today said that the iPad will be launched this Saturday at 9AM at its stores. 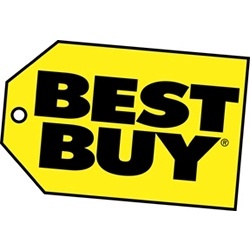 It also confirmed that the iPad will be available for sale at other third party retailers pointing out Best buy. Some of the stores don’t open early but it is unclear if they would for the release of the iPad. On the other hand Best Buy has already started to prepare for the release of the iPad with its staff being trained on its features and uses and how to be able to set it up. Only those Bestbuy stores with an Apple section will carry the sale meaining only 675 out of the over thousand Best Buy outlets will carry this item. Online sales are to occur only through Apple’s website. It seems that Bestbuy is doing this to keep its customer loyalty to itself. With literally zero competition it does not find the need to do this, but to keep those customers from going else where it opted to do so. Training the staff, display models etc definitely cost more. The display models are claimed to represent four different SKUs, which if true implies that at least one of them will be a 3G model. The iPad 3G is only due to go on sale towards the end of April. Free presonal setup is included for early buyers where email, apps and other stuff will be loaded on the iPad. Unlike the iPods, the iPad does not need iTunes to be setup or to be connected to the first time its used. All the Apple stores, about 221 of them will have stock and will also hold learning sessions on how to use the iPad. Previous Apple and Google having coffee?